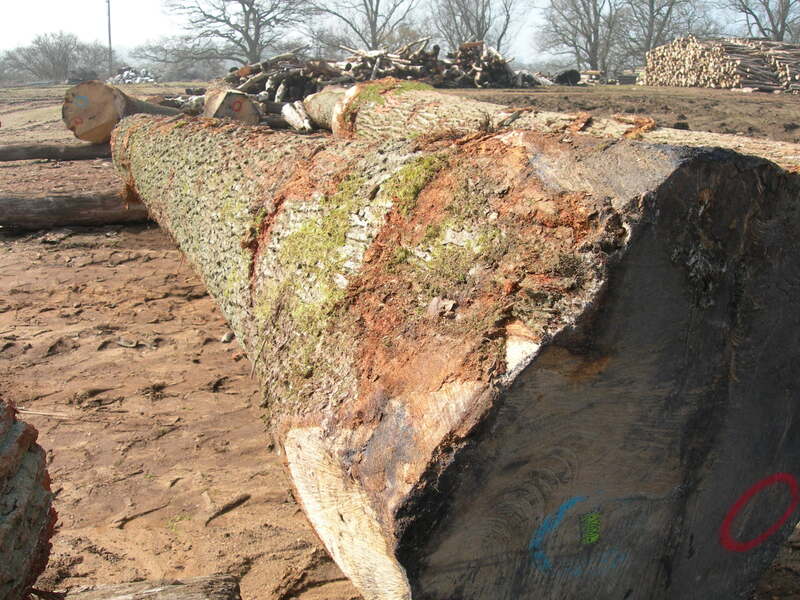 We told you in the previous Beam blog about the power of Oak, and its ability to be stronger than bricks and mortar. 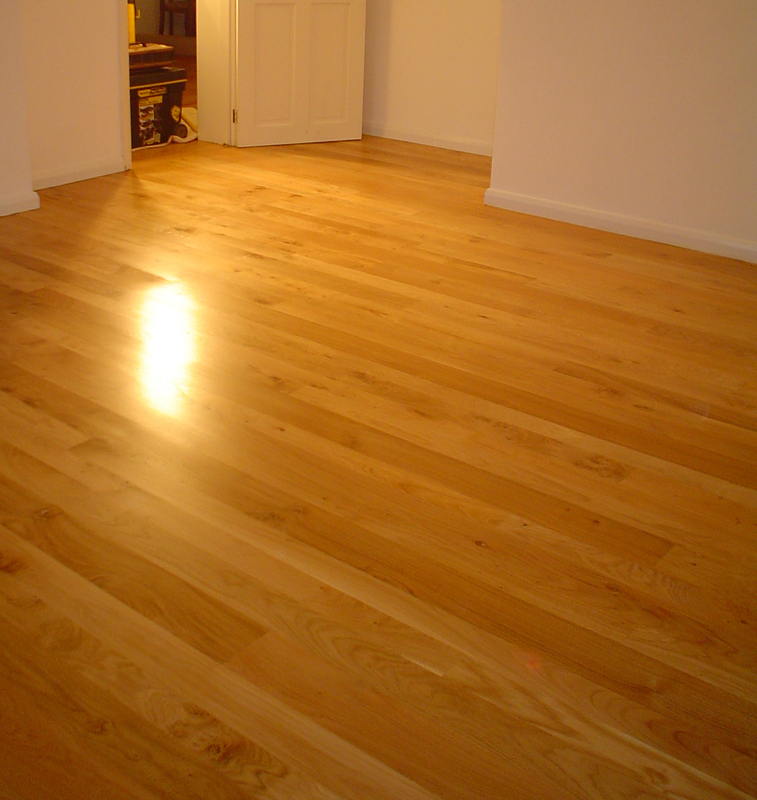 We weren’t exaggerating when we said that, it is a remarkable hardwood. We have seen examples of Oak being used in buildings and as the timber has started to dry, it moves and splits and can push walls apart!! 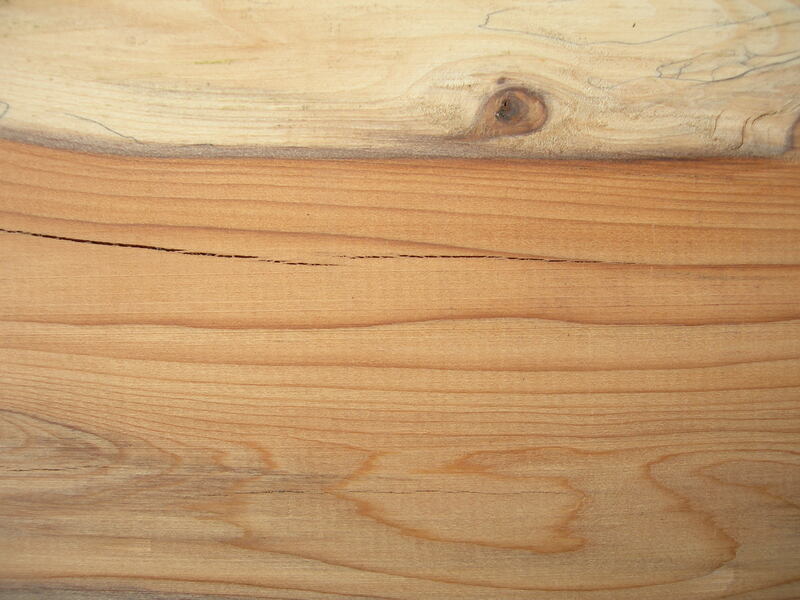 We have recently been to France to buy planking logs, we are very selective as we are buying for 1st quality boards. 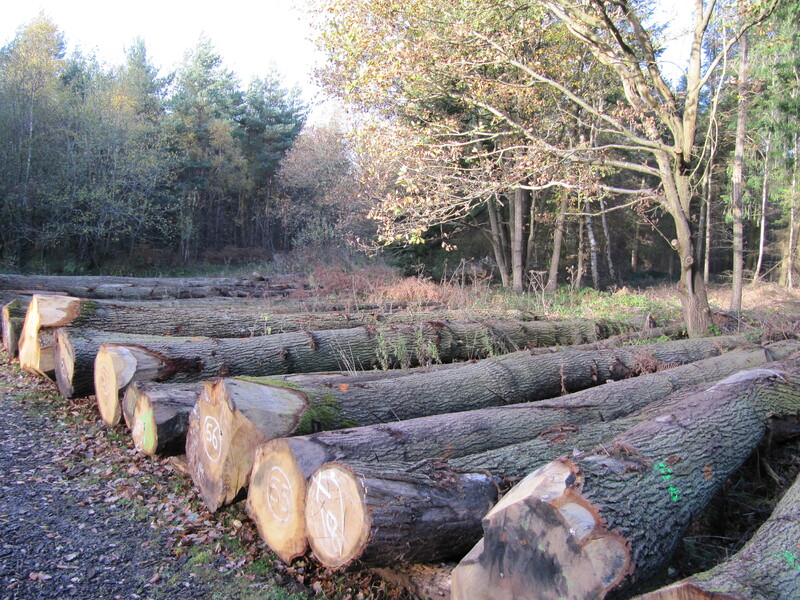 The last load came in this morning, great logs with one exception! 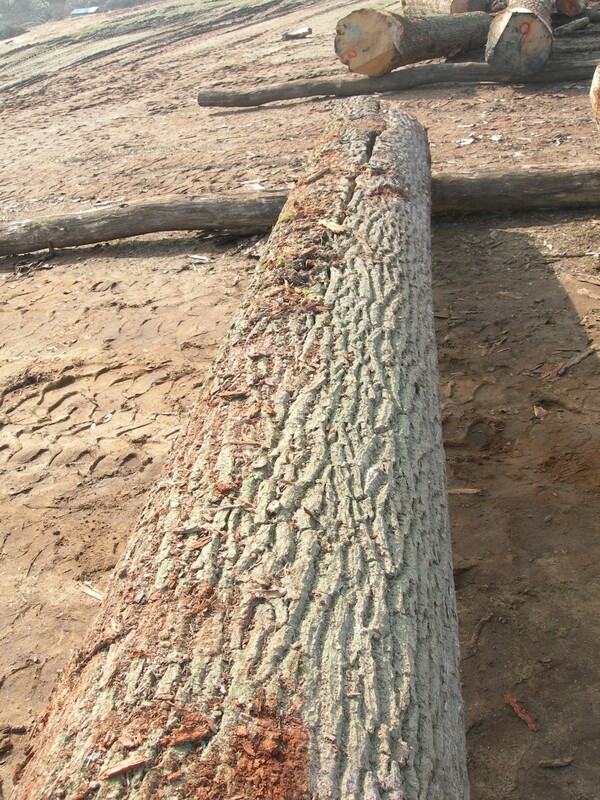 Nice log, looks OK dosen't it? Hang on whats that at the other end? Crikey, how did that happen? Thats a hell of a split!! 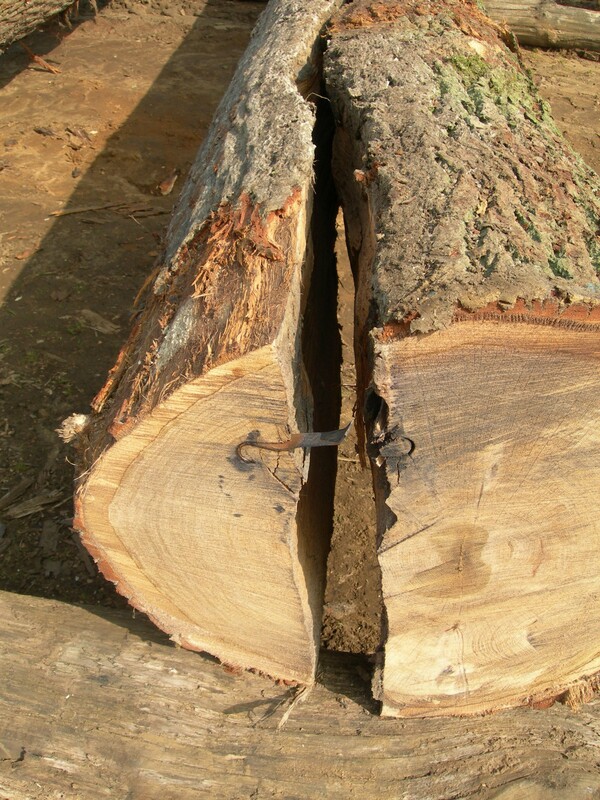 Just shows you the power of tension in Oak. 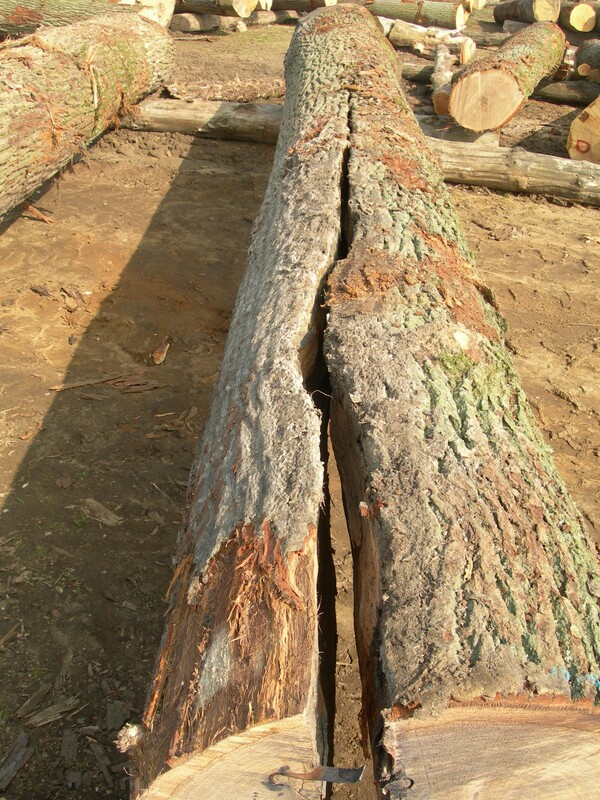 We would not have spotted this issue, the log had been crosscut in the woods after we had done our selection. Just shows you that all is not always what it seems!! I think we need to have a word with our supplier!!! 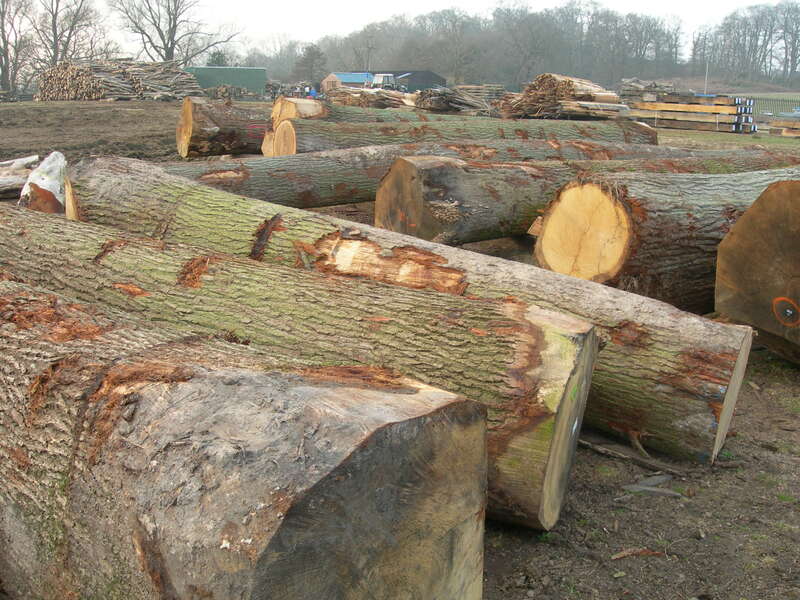 Call us for all of your Oak requirements. We have on stock a cancelled order of 11 handmade European Oak Ledged and Braced Doors. These are not mass produced in China or Eastern Europe but hand made in our own West Sussex workshop. The eleven doors are 6’6″ x 2’6″ and are untreated. If calling door stock numbers are D052 – D062. We do have a number of other sizes on stock, please look at our On-line Stock List for details and prices of those. We can offer these doors for £165 each + VAT or at a discounted rate of £155 each +VAT for orders of 5 or more doors. 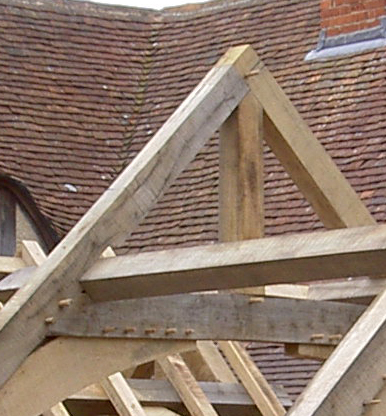 Remember, these Oak Ledged & Braced are not machine manufactured they are truely – Handmade In England! !